The NBA Playoff Preview for April 19th, 2008. He's been doing it for years, having by far more HBO Comedy specials that anyone, and he's still the man. "M.E.T.H.O.D. Man" by Wu Tang Clan. Yak Ballz performs "Out of Range" live at the Paid Dues Festival in Cali hosted by Murs. Here's a hilarious classic stand up routine of Rodney Dangerfield doing on of his sets from his dvd special "I Can't Take it No More". NBA's Top 10 Plays for April 16th, 2008. "Epic" by Faith No More. Chris Rock's classic bit from "Bigger and Blacker" about the differences of the ways that men and women lie. Larry King is "ripped a new one" courtesy of his own bufoonery, while interviewing Jerry Seinfeld. "(You Gotta) Fight For Your Right (To Party)" by the Beastie Boys. NBA's Top 10 Plays for April 15th, 2008. Check out this clip from the upcoming Harold and Kumar 2: Escape from Guantanamo Bay. Harold and Kumar get mistaken for bombers on their flight to Amsterdam. Ok so it's not technically a "music video", but it really doesn't get more classic than this! Here's the first part of The Beatles on The Ed Sullivan show in February 1964 as it was broadcasted, including commercials and some words from Ed before they came on. This was their first performance on American TV, and a downright historic moment in American History. Jerry Seinfeld's "Olympics" bit, from the classic stand-up performance, "I'm telling you for the last time". There's no short videos of this, so we'll have to settle for just audio. Either way, it's classic! Video by the Youtube music sensation, Esmee Denters, which revealed that she was signed by Justin Timberlake by his surprise cameo in the end of the video, which is pretty damn cool, and should be done my more artists. This video was featured on the main page of Youtube a while back, and now is on the "most viewed of all-time list". NBA's Top 10 Plays for April 14th, 2008. Adam Schleichkorn believes he is the authority on comedy movies; he is sadly mistaken. Here I shall list the top 10 greatest comedy films of all time, and, as usual, my opinions will from heretofore become law. 10. The Great Race - One of my personal favorites since I was a wee lad, The Great Race starts Tony Curtis and Jack Lemmon and is genuinely hilarious throughout. 8. Dumb and Dumber - It’s certainly debatable which Jim Carrey movie is his best, with Ace Ventura also being a classic of the comedy genre. However, Dumb and Dumber is my pick. Deal with it. 7. Naked Gun - Leslie Nielson is the man. Great visual jokes as well as really funny dialogue, this one has it all. Enrique Palazzo! Enrique Palazzo! 6. Life of Brian - Anything that exposes the ridiculousness of organized religion gets two thumbs up from me. The whole concept of people being so desperate for meaning and direction that they’ll follow just about anybody is really funny and sadly true to me. 5. Beetlejuice - I love me some Tim Burton. Classic film, great cast and a phenomenal performance from Michael Keaton makes this one a shoe-in in my opine. 4. Animal House - When John Belushi smashes that hippie’s guitar, I am at peace. 3. Annie Hall - Woody Allen is the greatest comedy director ever. Make no mistake about it- it’s just true. This is arguably his best film, and he wouldn’t even show up to the Academy Awards to receive his, uh, award. That’s gold, Woody! 2. Caddyshack - Cannonball, cannonball. When you put Bill Murray, Rodney Dangerfield, and an actually funny Chevy Chase in the same movie with what may be the best comedy screenplay ever, you got something. 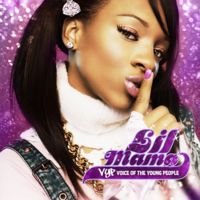 Everyone loves this movie. 1. 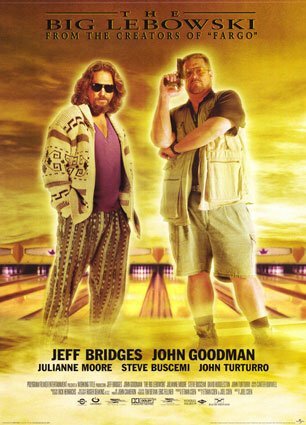 The Big Lebowski - Maybe not the overall funniest movie of all time, although it is absolutely hilarious, The Big Lebowski is the best comedy of all time, because it’s a great film as well as being unbelievably funny. Dialogue, cast, and the fact that it’s a monomyth make me love this comedy more than any other. Words. Honorable mention: I gotta throw a couple of other comedies in here because there are some great ones that didn’t make my list: Ace Ventura (the original), Austin Powers (the original), Shrek, The Jerk, Airplane, and, if you consider it a comedy, which it pretty much is, Ghostbusters. How you like that list Adam? Finkle and Schleichkorn, Schleichkorn and Finkle- Finkle is Schleichkorn! The YES Network is one of the few (if not the only) Major League Baseball team with a Youtube channel, and they sometimes come through with some cool clips like this one. I do really only care about the Yankees, but I wouldn't mind some highlights or something from the other teams, so let's get on that MLB! Anyway, in this clip we get a chance to take a closer look at the future of the the New York Yankees. NBA's Top 10 Plays for April 12th, 2008.